NOT ONE SPORT... EVERY SPORT. SIX03 is a team of fun, healthy, and athletic people who share a passion for the outdoors and the social community. Our members range from people looking to run their first 5K to National Ironman finishers. We are always looking for new members and new activities. 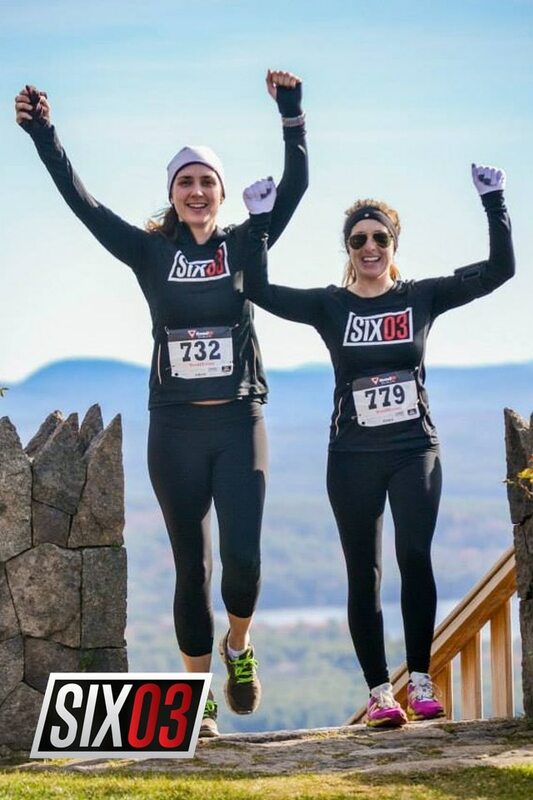 In case you didn’t get it… SIX03 is here to represent New Hampshire’s endurance community. As a SIX03 Member, you will be sent invites (and sometimes promo codes) to all the races and adventures. With your annual $60 membership, you will receive a SIX03 swag bag stuffed with all kinds of product from our sponsors. Inside the bag you will find the hat, the shirt, the Stoneface pint glass, the Philbricks water bottle, an issue of Trail Runner Magazine, LARAbars, BAi Antioxidant Infusion, Runners Alley bucks, and a few other goodies. SIX03 was founded in the Spring of 2011. It was created by a core group of dedicated athletes with a broad range of experience. They wanted a team for not one sport, but EVERY SPORT! SIX03 welcomes individuals of all levels of experience and physical ability. The foundation of the team is to promote camaraderie, encourage fitness, enhance training, and increase knowledge. We accomplish this through our group runs, meet-ups, and special events. After being a member of an endurance team that lacked camaraderie and excitement, Tom decided to combine his love for racing and his skill for bringing people together in order to create SIX03. Tom’s knowledge of endurance racing, road races, and obstacle course racing granted him access to a plethora of like minded athletes. Tom put out the call and gathered a handful of athletes with various backgrounds to create what is now SIX03 Endurance. After running track in high school and college, Alex entered the road race scene. He was always seeing the same people at races and thought it would be a great idea to create a club so that everyone could get to know each other. Alex wanted to create a group of fun, active, and outgoing people who could also share knowledge and experiences with one another. Running has been a huge part of his life. He even met his wife Heidi while running The Great Island 5K.